After reading Adrienne Young’s Sky in the Deep, I can safely say there are not enough Viking books—both in YA and adult—in the world. I need more fierce female warriors and complicated clansmen. Please! Give me more, YA editors! I deserve this! This book starts off right in the action. Eelyn, our main character, is mowing down her enemies with her bff by her side, when she sees her supposedly dead brother on the battlefield. 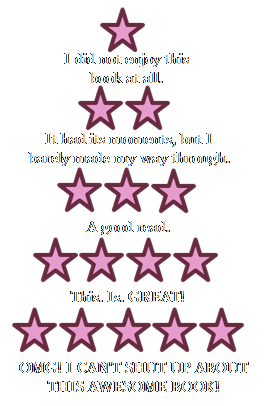 Eelyn then goes on a rollercoaster ride of emotions, but she’s never run over by them. I think that’s what made me like her so much as a character. She didn’t cry or whine—she got angry, and rightfully so. And, while there wasn’t a lot of info given about the side characters in this book, Eelyn’s thoughts and feelings made the side characters, like her father, brother, Fiske, and Myra, stand out. Also, those action sequences were pretty good. Some of the time—okay, a lot of the time—it’s hard to follow action scenes in books, but Young did a good job of slowing things down for the reader. 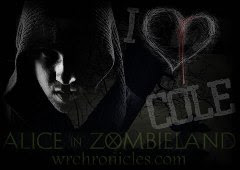 The well-written action combined with a plot that continued in one steady storyline made for a fast-paced and gripping read. I only wish it wasn’t a standalone. I would have loved to have seen more Eelyn and Fiske and Iri and Myra. Speaking of wishing the book had been longer, I do think the ending was rushed. Hence only 4.5 stars instead of five. Characters made super quick and often uncharacteristic decisions towards the end. I mean, if you’ve been at war with a clan for years, I don’t think you’d be too happy to find out someone you know has been aiding the enemy. I would have liked to have seen more of the drama and angst that should have been there play out in the end. All in all, Sky in the Deep shows that the YA is missing out on some great writing potential. 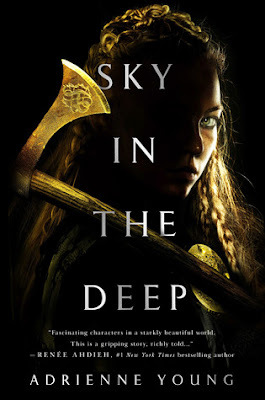 Vikings are sorely lacking in literature, and I for one am ready to see more books like Sky in the Deep on my shelves.